, a strategic global initiative created to increase awareness of the benefits of hosting digital assets in Ireland, and winner of the Datacloud Europe 2016 award for Innovative Data Center Location. He is also Co-chair of the General Data Protection Regulation (GDPR) Awareness Coalition, a not-for-profit initiative designed to raise awareness of the data privacy obligations for companies resulting from the implementation of the GDPR. A much sought-after keynote speaker, panelist and moderator at global industry events, Garry regularly appears in conferences throughout the United States, Singapore, Hong Kong, Dublin, London, Monaco and Costa Rica. 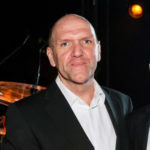 Garry has over 30 years’ experience in assisting Foreign Direct investment into Europe and demonstrates a pragmatic and common sense approach to data centre site selection, sales, negotiation, company start-ups, mentoring and strategic thinking. In addition to providing leadership at the award-winning Host in Ireland initiative, Garry has also been recognised as one of the top 50 EMEA Influencers in Cloud and Data Centres 2017 by Data Economy, and was runner-up in the 2017 DCS Awards’ ‘Data Centre Individual of Year’ category. Getting things done, facilitating logical and straightforward thinking, bringing both ideas and people together, and attaining results are all aspects of Garry’s executive strategy. In addition, he is comfortable at either the board or operational level, and experienced in FDI, IT, ICT, data centre technology, Pan-European date centre site selection, cloud computing, real estate and startup management.